KUALA LUMPUR (Feb 6): Secret societies have now set their sights on housing construction sites in the suburbs to extort protection money, according to the police. 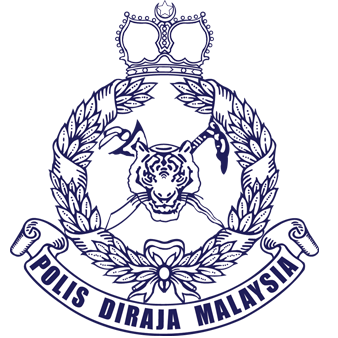 Bukit Aman Anti-Vice, Gambling and Secret Societies Division (D7) principal assistant director Datuk Rohaimi Md Isa said the hot spots were the suburbs in the Klang Valley, Johor, Penang and Perak. “The secret societies go for the sites and business premises without optimum security control, and the majority of their victims will comply with their demands because they believe the members of these groups can hurt them or damage their property,” he told Bernama. He said that based on the intelligence gathered, the secret societies or gangsters dominating an area were the ones usually extorting money from the housing developers, construction site managers, contractors and individuals. Rohaimi said the police found that members of ‘Geng 36’, for example, demanded protection money of between RM360 and RM3,600. The amount depended on the location, the size of the project site and also the secret society that made the demand, he added. Last year, he said, five members of secret societies and 40 gangsters were arrested under the Prevention of Crime Act 1959 (POCA). “A total of 914 investigation papers were opened last year on extortion cases involving housing developers, construction site managers, contractors and individuals,” he said. Rohaimi called on the people to channel information on extortion activities by secret societies through the hotlines established nationwide and gave the assurance that the informants’ identity would be kept confidential. “Between Jan 5 and Jan 7, this year, we received eight tip-offs, and we are conducting intelligence and investigation,” he said. On Jan 4, Bukit Aman Criminal Investigation Department (CID) director Datuk Seri Wan Ahmad Najmuddin Mohd said the information on extortion activities could be channelled through the hotlines established nationwide or via WhatsApp to the Bukit Aman Secret Societies Prevention Unit at 011-12277478. The hotlines are: Perlis (018-9409255); Kedah (011-58914020); Penang (018-9714508); Perak (011-39590439); Selangor (017-2847611); Kuala Lumpur (017-2035767); Negeri Sembilan (018-6495106); Melaka (017-8847470); Johor (013-6052467); Pahang (010-2266558); Terengganu (013-9391347); Kelantan (016-3521277); Sabah (013-8928228) and Sarawak (013-5253052).